Hamilton Sorter's sturdy aluminum framed consoles provide the ideal basis for your copy center, kit building or literature fulfillment area. Any sort modules, platforms. 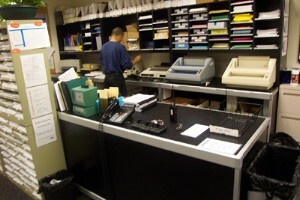 or overhead storage units for processing large volumes of paper documents. 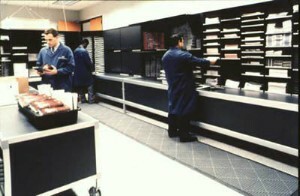 Sort shelves re-adjust along full depth rigid PVC plastic channel guides that allow for easy shelf adjustment.